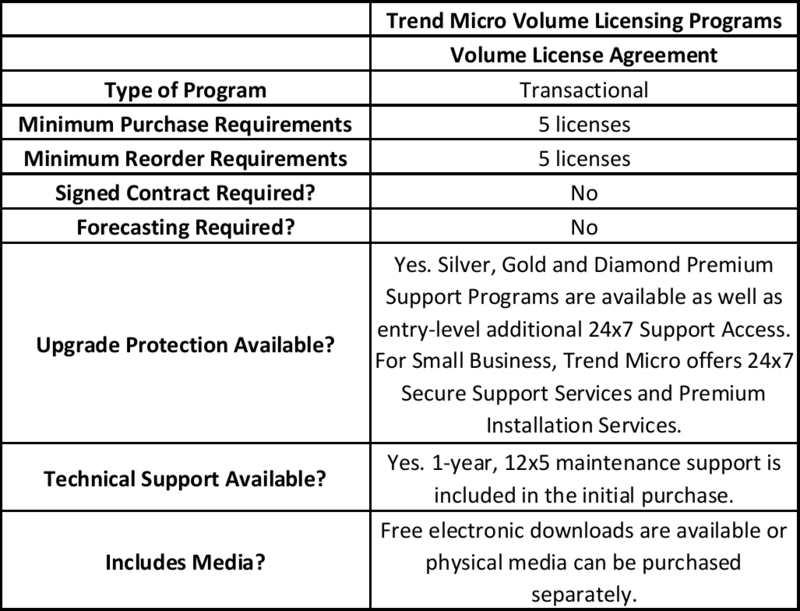 Whether you are a commercial, government, or education customer, the Trend Micro License Program (TMLP) offers significant discounts and streamlined account management – making it easy to purchase and track licenses. Trend Micro's License Program is based on units or the number of users covered by the software. The number of units purchased dictates the level of discount and establishes price bands. The first purchase sets the initial discount level. As additional licenses are purchased, the program discounts are recalculated based on the new total number of users protected by the software. 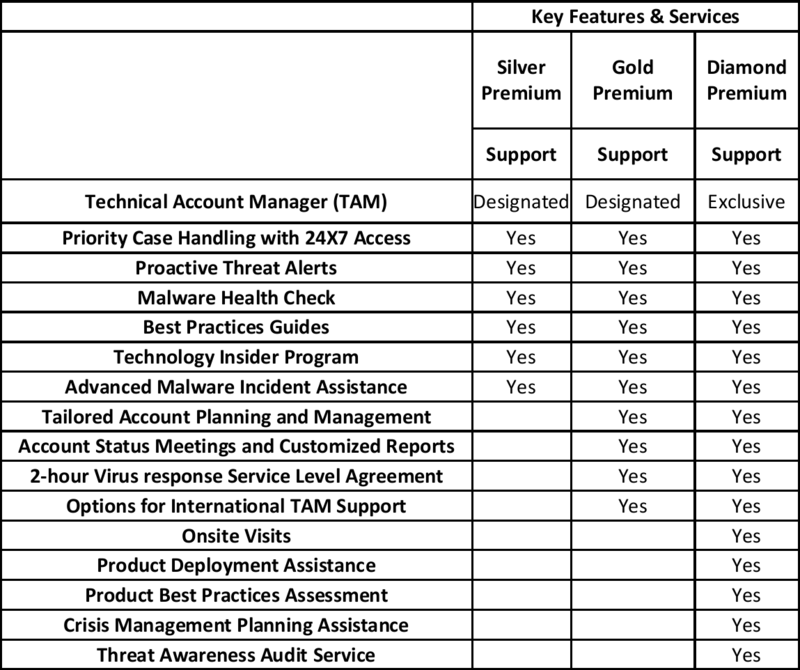 Trend Micro Premium Support Program provides proactive, personalized service, combining round-the-clock urgent priority handling of service requests with leading-edge antivirus, content security, and technical expertise to quickly address issues and deliver product knowledge at each service level - Silver, Gold and Diamond. Compare Support Levels. Trend Micro Virus Response SLA offers customers a two-hour penalty-backed virus support service guarantee. Program includes: unlimited virus cases submissions, immediate verification of whether or not the case is classified as a virus by Trend labs, fully tested and qualified pattern file delivered within two hours of virus case submission and guaranteed to detect the virus.